After months of rumors and speculation, it has finally been confirmed that Ryan Coogler will direct Marvel’s Black Panther, starring Chadwick Boseman as the titular character. 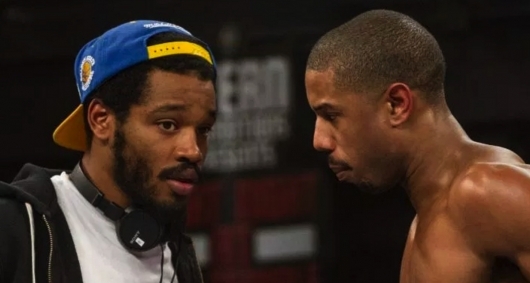 Coogler, who revitalized the Rocky franchise with his sequel/spinoff Creed (2015), was also behind the film Fruitvale Station. Both films received critical acclaim. Creed also helped co-star Sylvester Stallone win a Golden Globe for Best Performance by an Actor in a Supporting Role in a Motion Picture. Creed is also a huge box office smash, and a hit with the general audience. Black Panther will make his big-screen MCU debut in Captain America: Civil War, as a neutral agent who represents the nation of Wakanda. The plot of his solo film remains under wraps. From what Feige has said, Black Panther will be a “big geo-political action adventure that focuses on the family and royal struggle of T’Challa in Wakanda, and what is means to be a king.” He added that the title film will be an important link to the next Avengers films. In the comics, Wakanda is the fictional nation that is rich in the rare and valuable sound-absorbing mineral known as Vibranium. Being the only nation that is sitting on the rare bedrock puts Wakanda in a position to be one of the most technologically advanced nations in the world. One of their advancements was to turn vibranium into a light chainmail armor, as we will see in Civil War. But, in the MCU, it appears that Wakanda is nothing like its comic book counterpart in terms of being a secret nation. It is still rich in vibranium as the evil arms dealer Ulysses Klaue seems to be a major supplier in it, owning an entire ship full of the powerful mineral. Black Panther is scheduled to hit theaters on February 16, 2018.